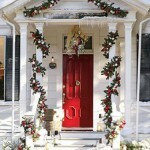 Winter is here already, so you would better start preparing your home for the cold. 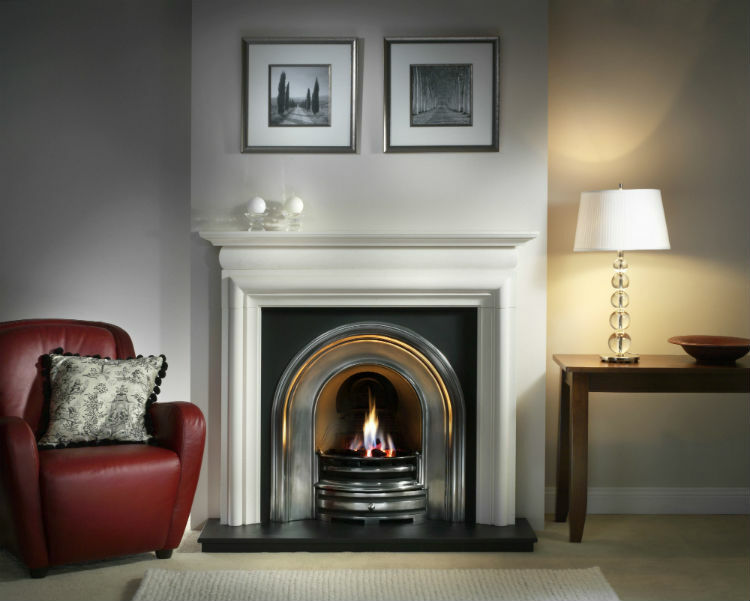 Have you been thinking about a fireplace? They add warmth and style your home design. Historically, fireplaces were used to heat the home. These days, however, the fireplace is all about ambiance. They can be made to match any style of home, from traditional to modern. The hearth is the focal point of the room — and a handy functional element on chilly night. 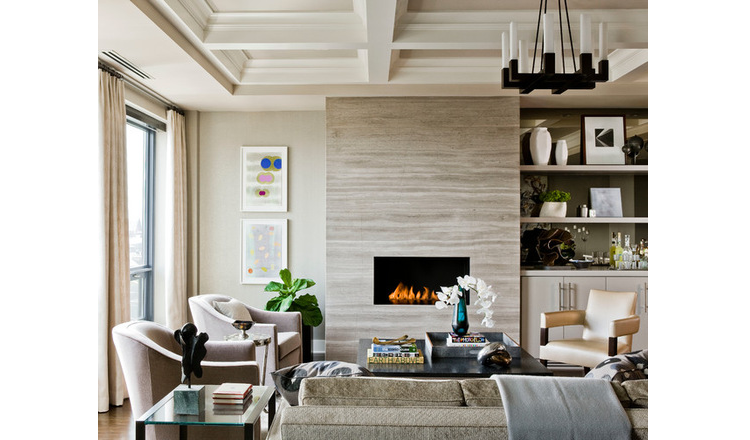 The blog Home Inspiration Ideas shows you how these 15 fireplaces can make your interiors really warm this winter. 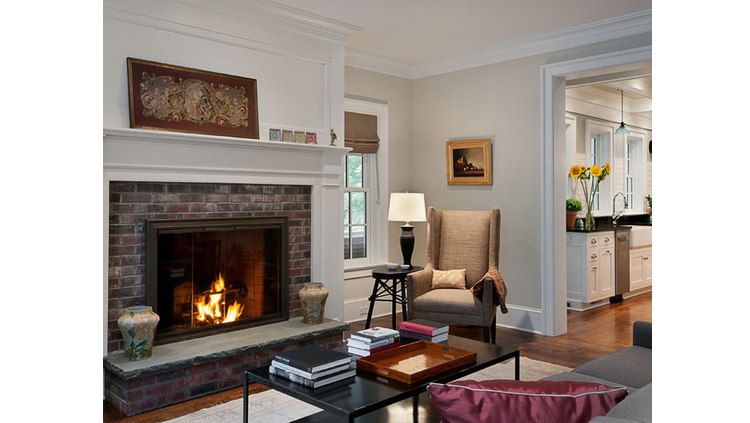 A red leather armchair combines with the white mantel, making this a cozy nook for reading, for example. It is a simple design, but very well achieved. 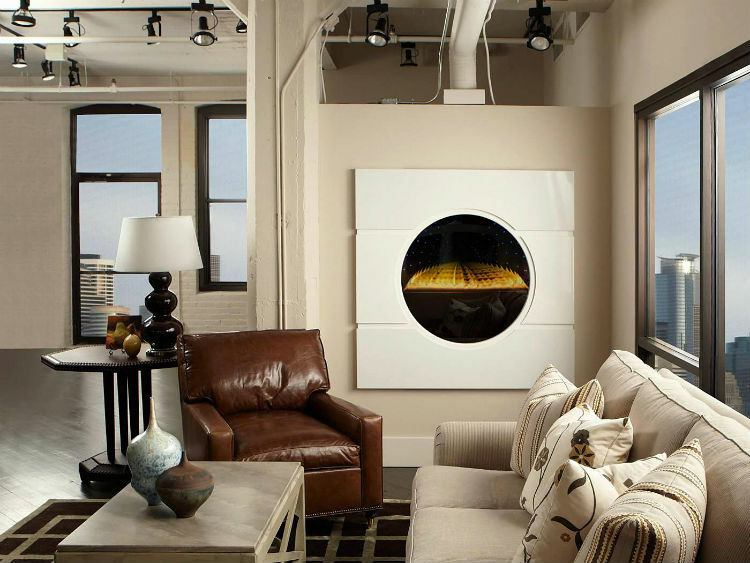 This fireplace with a futuristic twist adds a creative touch to the living room. A fireplace in the bedroom can be the dream of many. This marble fireplace is not only elegant, but also makes the bedroom cozier. 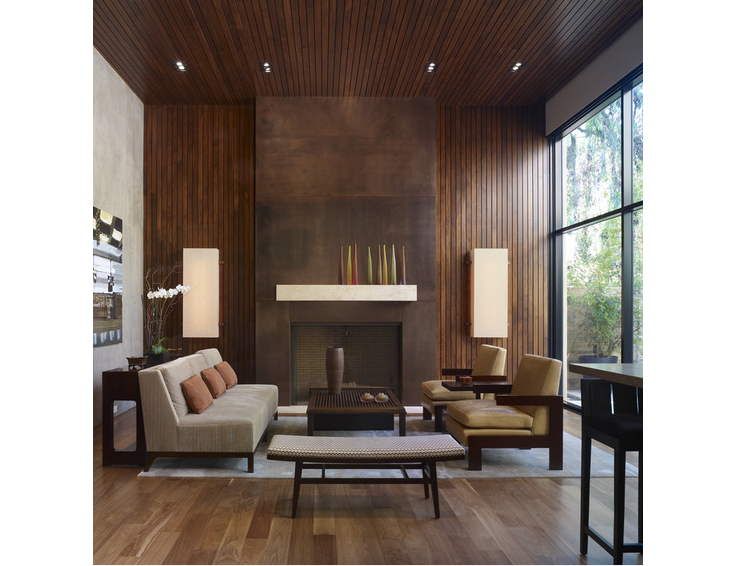 A natural color scheme, in tones of brown, covers the mantel in this living room, from top to bottom. Exposed wood beams from the cathedral ceiling. The room has big windows, so it will be perfect for the rainy days, when you stay home, warmed by the fire and looking at the rain pouring outside. when it’s not at use. 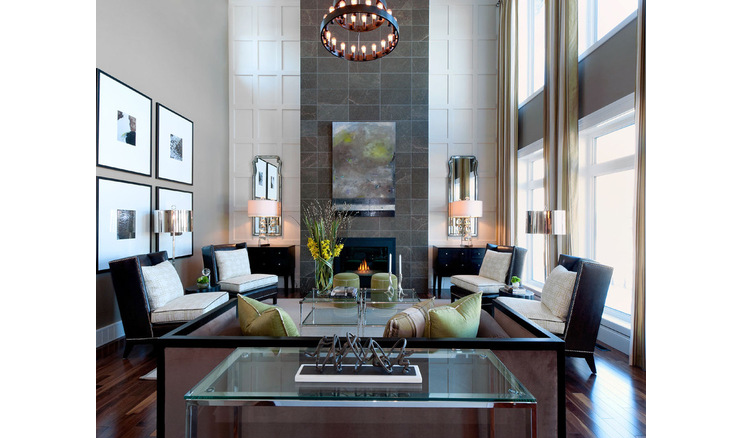 The large golden frame mirror gives this space a luxury feeling. The sconces, on the other hand, makes the ambiance. A white fireplace is key in this imposing living room. A simple color scheme, a very well handled space management and beautiful room design. White sofa and pillows contrast smartly with dark wood floors and center table. 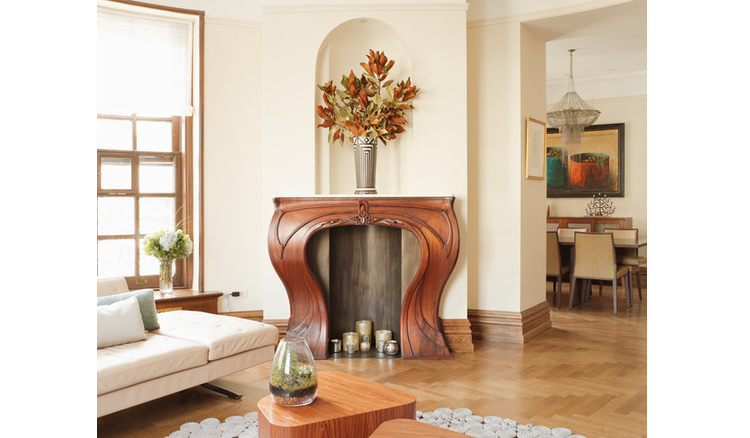 Enclosed wood-burning fireplace with simple, elegant mantle. 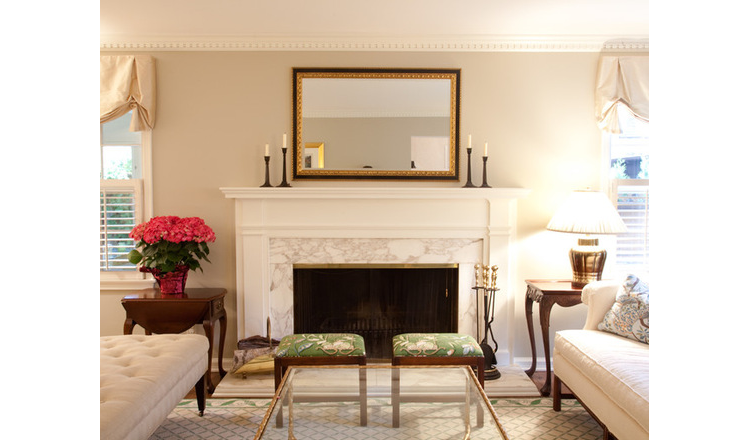 Bricks surround this enclosed fireplace, topped by a classic white wood mantle. The marsala pillow adds visual interest to the sofa. Minimalist style enclosed fireplace extends from the wall. 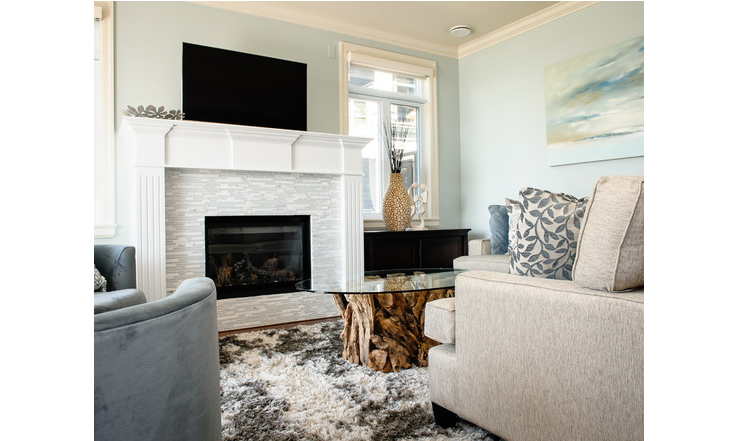 This is a not-so-big living room, that has a much cozier feel with this fireplace. Candles above the mantle add extra ambiance. 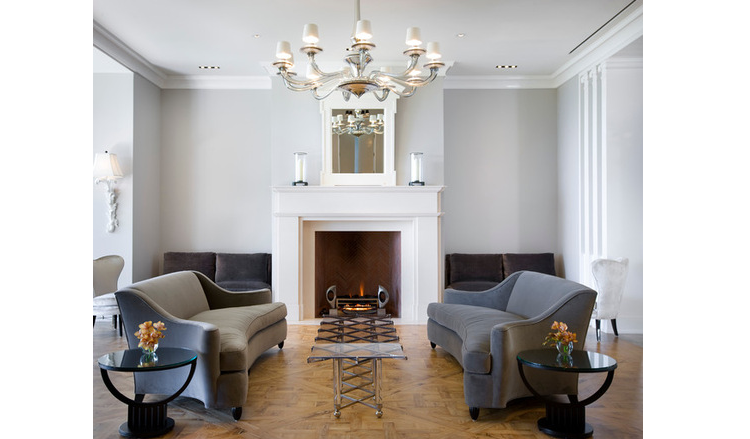 The two seating areas invite for a relaxing, conversation time in winter days. Here is a very sophisticated home design. Large space, high ceiling, multiple sitting areas, modern colors and beautiful materials. The fireplace is a must! Traditional living room in a white and pink color scheme. The large windows as well as the large empty space in the middle is inviting for your game nights, warmed by the hearth. 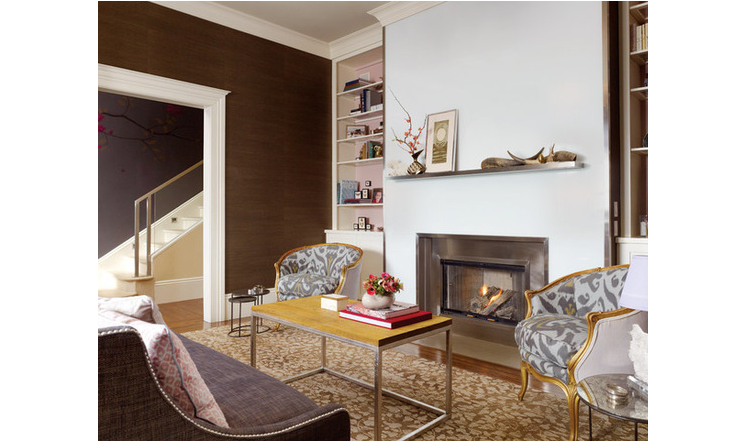 Chocolate wallpaper goes very well with the tones of the enclosed fireplace. The contrasting golden details in the chairs are also very elegant. 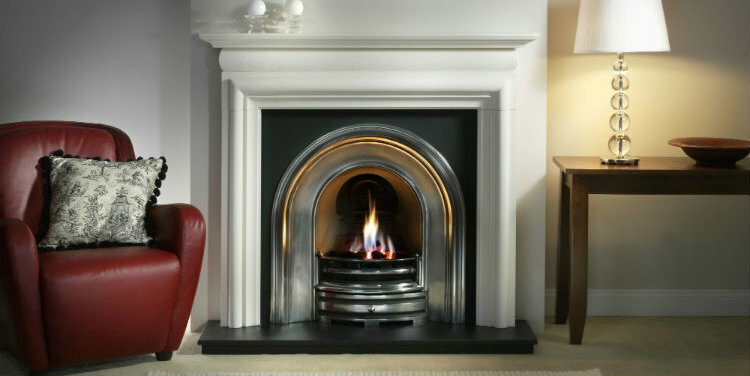 In any room it occupies and at any time of year, a fireplace commands attention. In any style and with any material. 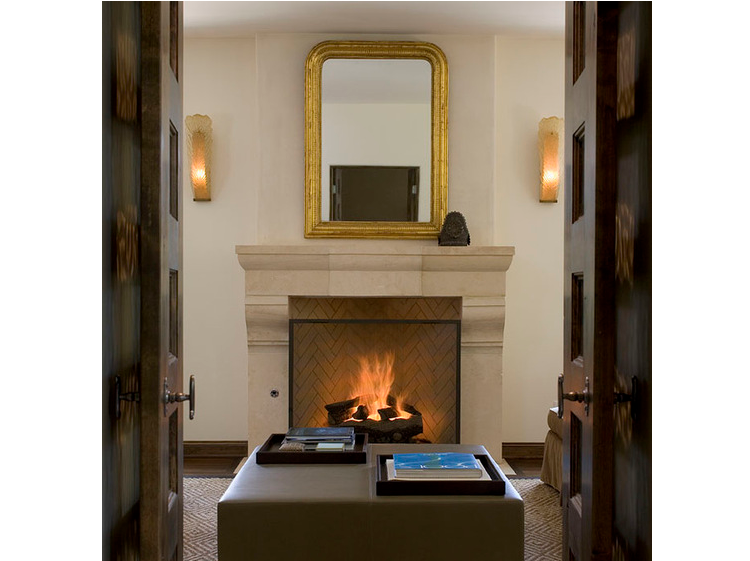 If you want to have a cozy space, add warmth, charm and ambience to your rooms with a fireplace.